One can avail the finest quality Dried Red Chilli from our company. 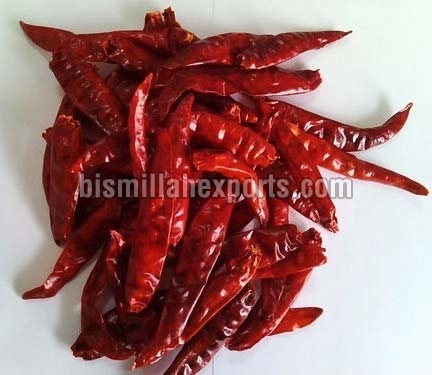 We export and supply all types of Dried Red Chilli in various grades, such as 334, 273, No.5, 341, Teja, Wonder hot, Badgy, Fatiky ( Talu ), etc. Dried Red Chilli, that we offer, is highly acclaimed for its spicy flavor and desirable color. Avail premium Dried Red Chilli from us at the market leading prices.